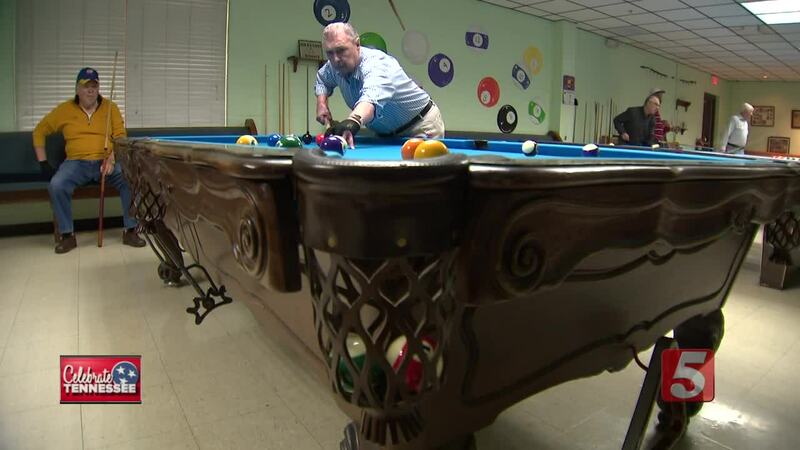 Life for many elderly people gets a little bit more exciting when they step into the Lebanon Senior Citizens Center. 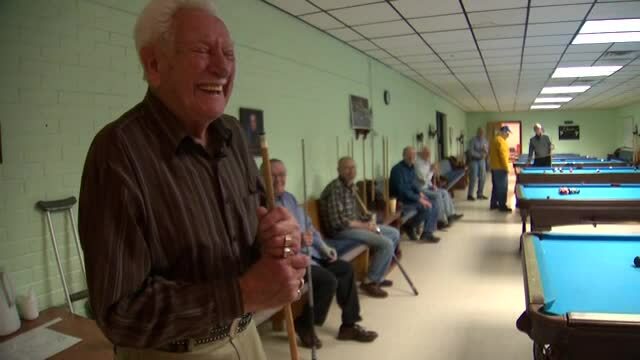 LEBANON, Tenn. (WTVF) — Life for many elderly people gets a little bit more exciting when they step into the Lebanon Senior Citizens Center. The center has about 1,500 members with roughly 250 of them visiting everyday. There are plenty of activities to choose from including line dancing lessons, card games, shopping at its store and daily lunches for four dollars. One specific group takes the opportunity to join the popular pool tournaments held on a Friday. They aim to win but it is truly a chance to scratch their itch for good competition and camaraderie. "With all these old guys you can have a lot of fun," Ben "Silverfox" Blake, 74, said. "I didn't want to shoot pool because I thought surely these old people can't shoot until I got here and realized 90 percent of the guys here are good players." "I just love the place because we got a lot of buddies and we do a lot of laughing and a lot of crying when we lose," Jean "Swivel Hips" Hawkins, 89, jokingly told NewsChannel 5. Not everyone is an expert player but the opportunity to join a team can break the monotony of life. Steve Hornsby, 73, said it has been a healing process for him after losing his wife of 42 years to cancer while taking care of his 95-year-old mother. "I started coming and I realized this is what I needed even though I mentioned my wife's name and had problems with it for a long time," Hornsby explained. "I'm not sure there would be a life because I'd still be taking care of my mother and I'd be sitting at home with no place to go." Activity Director Teresa Botts said it is also a good time to exercise. She said majority of the players never knew each other prior to becoming a member and have since developed a strong relationship. The center also has a women's pool tournament at the end of each month. The center is celebrating its 40th anniversary this year. For information on how to help or donate, click on this link .